I just picked-up a really nice 1978 TY250E. It's in great cosmetic condition and it starts easily, idles well and has a ton of compression. However, for a 250cc 2-stroke trials bike it seems to be a bit lacking in low end power. 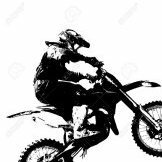 I figured that a bike would loop itself in first gear if it was given full gas and a good pull on the bars. On my bike - it takes a lot of effort to get the wheel just a foot off the ground. Part of this is poor rider technique, but I have other 2 stroke bikes and when they are in the power band - they rev-up like crazy! I posted a couple of videos below so you can see what I mean. It might be my expectations are too high for a bike with a heavy flywheel - but when I see videos of other TY250s - they seem much more snappy. I do know that the clutch needs adjusting - when it's cold and I put it in gear witht he clutch in - it starts to drive away. It's ok when the trannny warms up. Open to suggestions for anything else. Thanks. It sounds like the throttle is barely opening. Could it be too much play or some kind of binding. You could pull the carb boot off to verify full opening or even pull the slide out to verify. Other issues should have different symptoms. From the second video, looks like there could be loads of slack in the throttle cable. I'd also check the ignition timing on a bike new to me. F4SEAT check this first, take the seat off, turn it upside down and look at the seat base, it’s more than likely cracked across the middle. 40 years on and the seat material allows water into the seat foam and then the base rusts and as it wasn’t very strong to begin with the whole seat collapses down onto the top of the water exclusion plate on top of the air filter. This seriously restricts the air actually getting into the air box and the seat foam disintegrates and gets into the inlet manifold stub and coats the inside surface ( it sticks like s*1t to blanket) due to heat. You will know as soon as you lift that seat, then it’s a process of reshaping the air inlet of the air filter box and removing the foam debris, this crap gets into the reed valves etc. A TY 250 E should blip on the throttle more readily. It has the usual tinkle, rattle of most TY’s. Check that the reed valves are intact and actually working as they should, these get tired and it would be a good idea even it’s not the fault to change them for new OE or after market just to ensure that they don’t end up killing the engine by breaking up and getting into the crankcase. The throttle looks slack as clean or bust says...very observant! 👍The engine isn’t apparently ‘bogging down’ when you attempt a wheelie, but I’d have to say that the ‘zap’ is missing🤔. Get the throttle and slide inspected, your looking for wear in the slide and carb body. These carbs are normally good and fairly reliable, but float height and drop need checking carefully. Ensure the choke plunger is operating as it should, and make sure the breather pipes are all fitted and clear, I route mine up inside the top frame tube which conveniently ic exposed just above the carb. Photo included, look for the nylon cap on the mixture screw...missing on many TY’s this was set to be turned in or out a specific amount for road use or competition use...small point but worthy of checking if you want an exact bike. Ignition timing and points/contact breakers gap are worth checking, if the faces of the contact breakers appear to be dark blue this is indicative of the condenser breaking down which will produce a weak spark, another item worth replacing because of age. That’s a flywheel off job so it would be a wise move to check the crankshaft seals. Another potential fault could be that the cylinder base gasket is compromised and leaking. Im sorry I can’t determine the actual causal fault with your 😉very tidy looking TY it’s the same year as mine, I have to add that the TY tends to be a little long in the wheelbase so the leverage effect of whacking open the throttle and expecting an enormous wheelie can be very illusive to some, that’s why so many owners went the Majesty route frame wise. Lastly those front forks don’t look very responsive, are they ok? I’m guessing that sorting the throttle and a bit more pull on your part may cure the problem. It’s very difficult to diagnose at a distance but I hope you get a result from the help you’ll get on this website...it is good isn’t it! Last thought, is your bikes oil pump still in place, if not has the mounting area been blanked off with a plate and gasket, that’s a great place for an air leak. Keep us posted on what you find. Have seen your other post and it just makes me wish that I’d kept my E they really are good for an oldie and I used to be a Yamaha Dealer in the late 70’s and 80’s. Fuel tap filter, have you checked to ensure this is not restricting fuel flow to the carb? Whilst it only takes a moment to remove the seat I'd follow the advice to tighten the throttle cable before doing anythng else. Your massive wrist movement is spent taking up the slack so you're not getting the revs. RD4ME where do you live in Ontario ? Thanks to everyone for their advice. My checklist doubled in size and I’ve been in the garage all morning trying all the tips. Section swept - thanks for all the detailed info. I have pulled the seat and it’s all intact. No real deterioration of the sponge although I see 2 small cracks in the pan. I have pulled and cleaned carbs and reeds - they are in great shape. Compression is about 115psi so all good. Points I haven’t checked but the bike does start and idle perfectly. I do think the issue may be related to the throttle cable. It has a huge rotation to full throttle and it doesn’t snap back well. There are so many adjustments I don’t really know where to start. The slide and spring seem to work perfectly - but above the cap where the cable ends there is some movement. I’m not sure which part to adjust or if it needs a new cable. I have taken a video and will post when I get home - hopefully it will help with diagnosis. Thanks again to all - I’m enjoying the mystery! 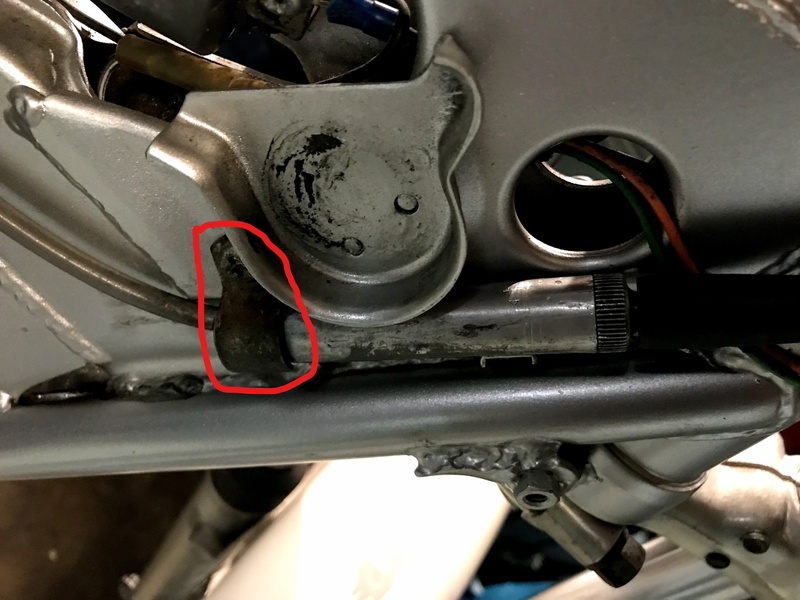 Looks like you might have a bodged throttle cable, in other words it might be the original cable that was also connected to the oil pump. If you can just adjust the throttle cable ar each end until the excess slack is down to a minimum. Take out the carb slide and make sure it can actually move up and down in the carb body. The needle should be in the middle position I might be wrong so check that but in any case it’s a good starting point. Those contacts will need to be checked sooner or later. Good luck. Thanks again for the advice. The engine does rev-up when I move the throttle. It just has a really long pull before it reaches wide open - and a slow return. You can see this in the first video below. If I figure out how all the adjusments work on the cable and get it tightened-up - does it manke sense that it would make the bike idle higher? Would I then lower the idle screw? There's a second video which shows how the cable seems to pop-out at the top of the carb. Does that seem ok? Btw, my bike has the oil pump removed. That nice quick closure is a big step forward, but I still can't help feeling the engine is not responding properly. Blipping the throttle like that should have the motor leaping up to max revs instantaneously.